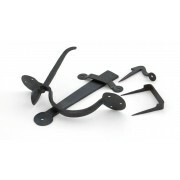 A door latch from Kirkpatrick designed to be morticed into the door to work with door handles. 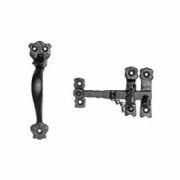 The latch faceplate and keep match the Black Antique door furniture. 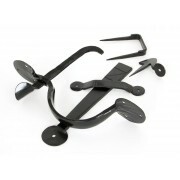 Size 76mm ..
Kirkpatrick Mallable Iron Black Thumb latch with pin and chain for privacy. 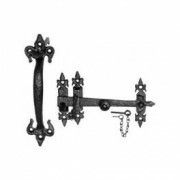 Handle 152mm - Latch 114mm ..
Kirkpatrick Mallable Iron Black Thumblatch with ornate Fleur-de-Leys detailing and pin and chain for privacy. 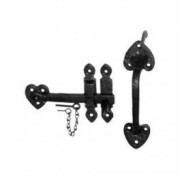 Handle 228x63mm - Latch 197mm ..
Kirkpatrick Mallable Iron Black Thumblatch with Heart shaped detailing and pin and chain for privacy. 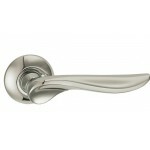 Handle 203x63mm - Latch 127mm .. 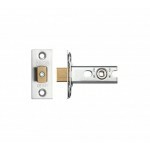 Traditional Pattern Suffolk Style Thumblatch Satin or Polished Chrome To suit up to 35mm internal doors (not suitable for external use) ..
Eurospec Easi-T Heavy Sprung Tubular Mortice Latch. 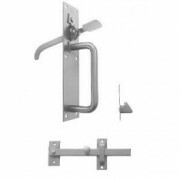 Available in 4 sizes BS EN12209 CE Marked and Certifire Approved .. 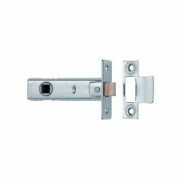 Medium Duty Auto Gate Catch Galvanised 50mm ..
Light Pattern Suffolk Latch with a standard thumb piece. BZP or black. .. 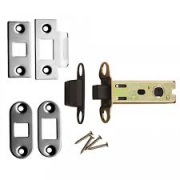 Magnetic Tubular Mortice Latch SSS Forend & Strike (both square and radius supplied) 57mm backset - 77mm o/a Can be retro fitted into existing 76mm mortice Suitable for standard 38mm bolt through rose fixings, at 38mm centres Stainless steel latch pinion rollers for long life, fricti.. Medium Bean Thumblatch. 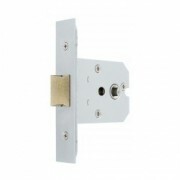 The thumb piece passes through the door and raises the latch bar off the keep. 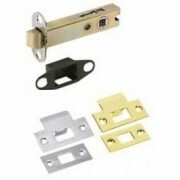 To restrict the latch bar movement a staple pin and a screw on staple pin are included. 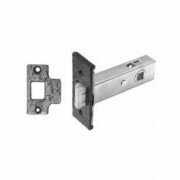 Suitable for doors with a maximum thickness of 55mm. 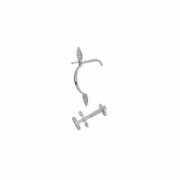 Available in Beeswax Size: Handl.. Medium Bean Thumblatch. 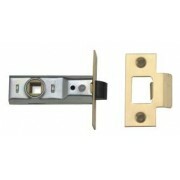 The thumb piece passes through the door and raises the latch bar off the keep. 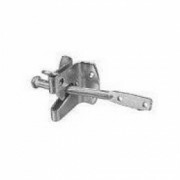 To restrict the latch bar movement a staple pin and a screw on staple pin are included. 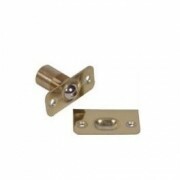 Suitable for doors with a maximum thickness of 55mm. 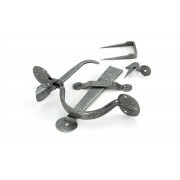 Available Pewter Size: Handle le.. 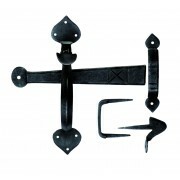 Medium Suffolk Pattern Gate Latch Availble BZP or black. 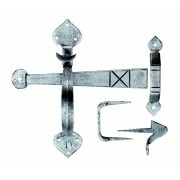 ..
Carlisle Brass Ludlow Foundries Gothic Pewter Thumblatch 210mm x 190mm ..
ADJUSTABLE MORTICE ROLLER DOOR CATCH BRASSED ..
ADJUSTABLE MORTICE ROLLER DOOR CATCH NP ..
Carlisle Brass Tubular Mortice Latch Nickel Plated Forend Available 63mm or 76mm ..
Union 2648 Tubular Mortice Latch Black Bolt Polished Brass Forend & Strike Plate Size 80mm overall, 57mm backset ..